It all started when Florian Slotawa, then an art student at Hamburg's Kunsthochschule, decided he didn't want to create, install, or produce any more artworks. Plagued with doubts about his art studies, he began taking photographs of the objects in his flat: furniture, dishes, clothing, silverware, even the bottle opener. 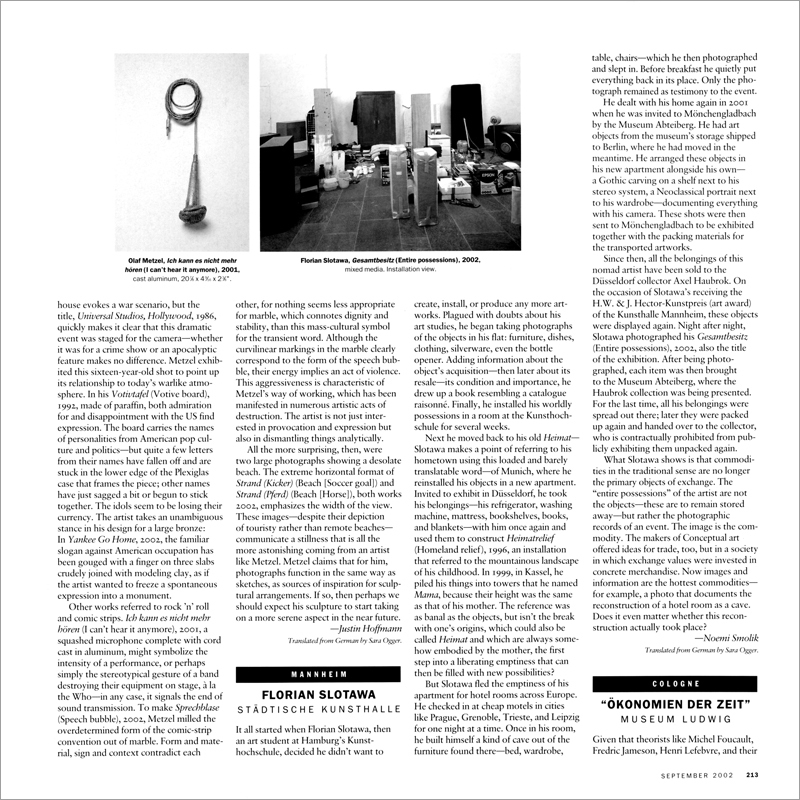 Adding information about the object's acquisitionthen later about its resaleits condition and importance, he drew up a book resembling a catalogue raisonné. Finally, he installed his worldly possessions in a room at the Kunsthochschule for several weeks.